Android N, the next major version of Google’s mobile operating system may not have an app drawer, Gadgets 360 has learned. A source tells Gadgets 360 that Google is currently testing an Android build on its Mountain View campus that doesn’t boast of the app drawer. Speculation about the demise of the aforementioned capability began late last month when Google published a mockup video demonstrating what appeared to be the user interface of Android N.
Now on Tap, the extension of Google Now that was introduced with Android Marshmallow last year is unlikely to get any major new capabilities with Android N, a source told Gadgets 360. Another source independently told Gadgets 360 it hasn’t heard about any changes related to the feature in Google’s next version of Android. Earlier on Wednesday, Ars Technica published a detailed story about the new features in Android N. The story has since been retracted. According to its author Ron Amadeo, who has a sound track record, a preview build of Android N is already doing rounds on the Internet. Chatter about this supposed leak has been going on for the past few weeks. Amadeo’s redacted story, the text of which you can read on Reddit, also claims that Android N will bring native support for side-by-side app mode (popularly known as multi-window) to Android. The feature has been previously seen on Samsung’s high-end smartphones, and more recently on Remix OS, a forked Android operating system. Amadeo wrote that developers will get an option to opt in to the split-screen on their app to leverage the feature. Other major reported feature includes a completely redesigned notification panel. The publication claims that power control options will be able to live on top of the notifications panel. 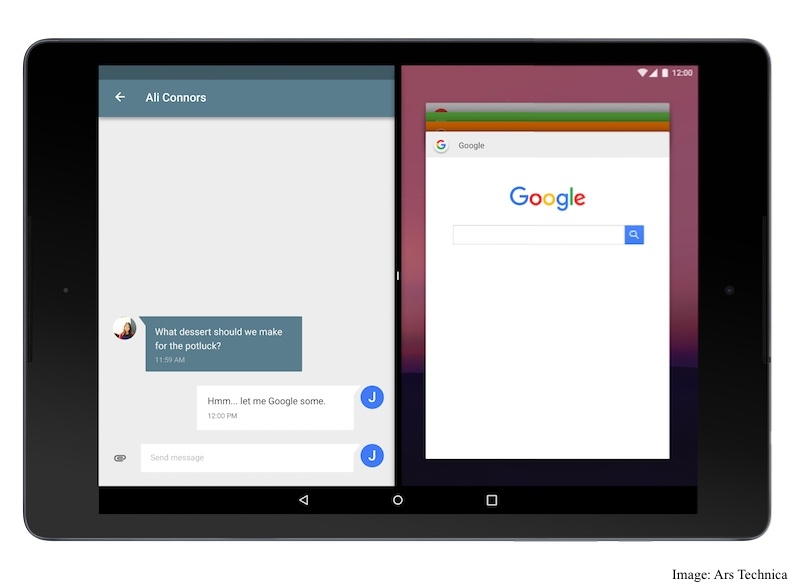 Android N will reportedly also feature the ability to bundle notifications from a single app. Google is also supposedly improving Doze Mode, a feature that reduces the power consumption on the phone by putting inactive apps on the idle mode. Also as previously confirmed by Google, Android N will utilise OpenJDK, an open source version of Oracle’s Java Development Kit. The move comes amid Google’s years-long lawsuit with Oracle which found the Mountain View-based at fault for utilising Java application programming interfaces. You can read about their battle here.